Seriously, as I sit here thinking of how to introduce these fabulous pork chops all I can come up with is I hope I have all the ingredients because I really want to make this for dinner tonight. 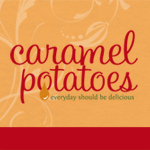 The great thing about this recipe is that you can make all of it for a complete dinner or just what you want. I know I don’t have fresh pineapple in my refrigerator today so I can just omit that from my dinner. 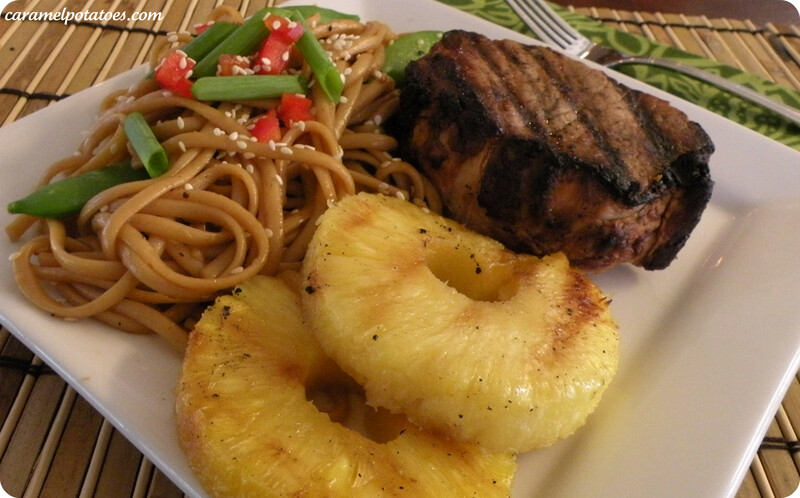 The pork chops and the sesame noodles go really great together and the pineapple is such a sweet and delicious addition to my plate. I hope you enjoy teriyaki pork chops and sesame noodles as much as my family. Either the night before or earlier the day of make the marinade to allow time for your pork chops to really absorb the flavor. For the marinade, combine soy sauce, pineapple juice, rice vinegar, brown sugar, garlic, and ginger in a saucepan. Bring to a boil and stir until sugar is dissolved. Reserve just under half of the marinade in a separate bowl for the sesame noodles, store in the fridge. Cool the remaining marinade completely in the original saucepan. Put the pork chops in a large resealable plastic bag and pour the marinade over them. Seal the bag, pressing out excess air. Allow chops to marinate in the refridgerator, turning bag once or twice, at least 6 hours or up to overnight. If you are not going to make the sesame noodles, cut the marinade ingredients in half. Pour the marinade into a small sauce pan and reduce the marinade to baste on pork chops as directed above.